In Alaska, Anderson's field team focused on carbon dioxide, methane, and water vapor (a natural greenhouse gas). But, their little plane picked up nitrous oxide levels, too. Wilkerson ran the calculations. He checked his data. He sent it to Ronald Dobosy, the paper's second author, an Atmospheric Scientist and eddy-covariance expert at the Oak Ridge Associated Universities (ORAU) at NOAA. "I was skeptical that anything would come of it," Dobosy says. After triple checks, Wilkerson had to admit: "This is widespread, pretty high emissions." In just one month, the plane recorded enough nitrous oxide to fulfill the expected cap for an entire year. Even so, a few recent studies corroborate Wilkerson's findings. Other researchers have used chambers—covered, pie plate-sized containers planted into tundra—to monitor gas emissions over months and even years. Other studies extract cylindrical "cores" from the permafrost. Back in a lab, the researchers warm the cores inside a controlled environment and measure how much gas the peat releases. The more they heated the soil, the more nitrous oxide leaked out. Both chambers and cores cover even less ground (no more than 50 square meters) than Anderson's airborne system. But together, all three point to the same conclusion: Permafrost is emitting far more nitrous oxide than previously expected. "It makes those findings quite a bit more serious," Wilkerson says. Wilkerson hopes this new data will inspire further research. "We don't know how much more it's going to increase," he says, "and we didn't know it was significant at all until this study came out." 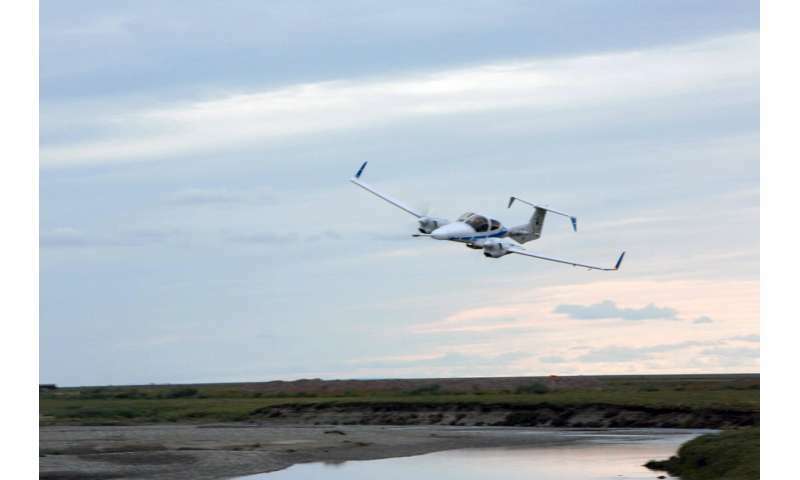 Right now, eddy-covariance towers—the same technology the Anderson crew used in their plane—monitor both carbon dioxide and methane emissions across the Arctic. Anderson was the first to use airborne eddy-covariance to collect data on the region's nitrous oxide levels. And, apart from the small-scale but significant chamber and core studies, no one is watching for the most potent greenhouse gas. In his place, Wilkerson hopes researchers hurry up and collect this data, whether by plane, tower, chamber, or core. Or better yet, all four. "This needs to be taken more seriously than it is right now," he says.